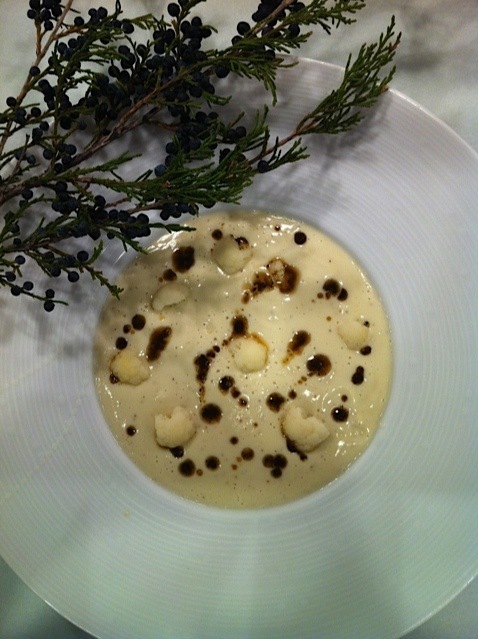 We use eastern red cedar berries (juniperus virginiana) in this nutty and woodsy reminder of white winter days. 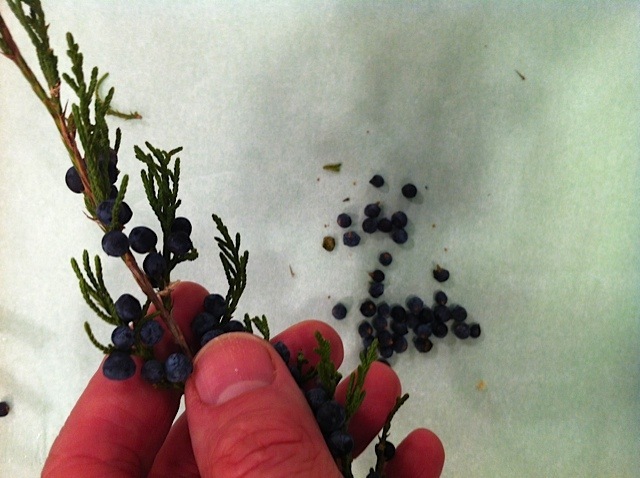 They are sweeter than the usual commercial juniper berries (juniperus communis) sold in most stores. The creaminess of the soup jazzed up with the juniper and small florets makes a comforting and healthy winter supper served with a salty prosciutto. This is a very easy recipe that uses less than a handful of ingredients. 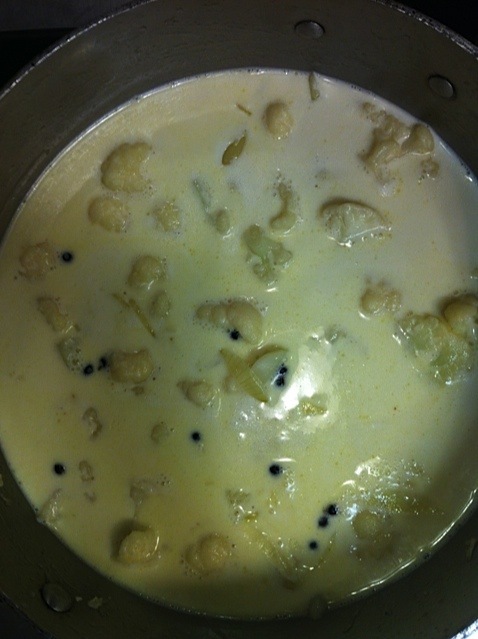 The cauliflower florets adds additional texture to the creaminess of the soup. 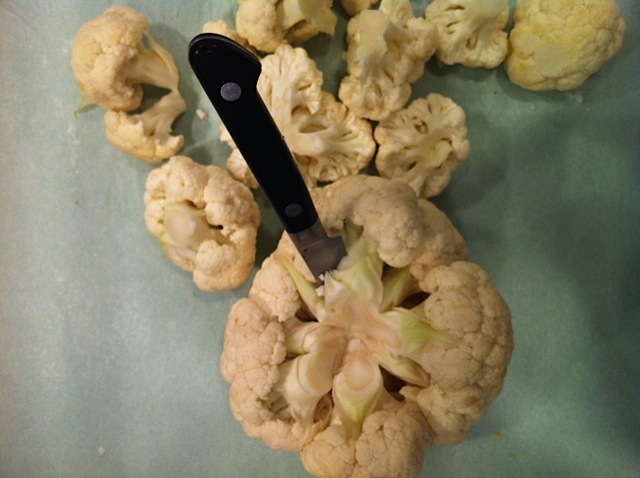 Blanch the cauliflower florets in salty water and set aside or shock in iced water. 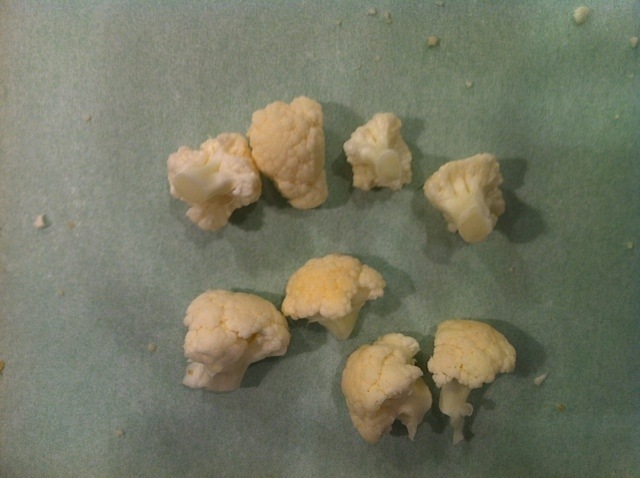 Cut the rest of the cauliflower into large chunks. 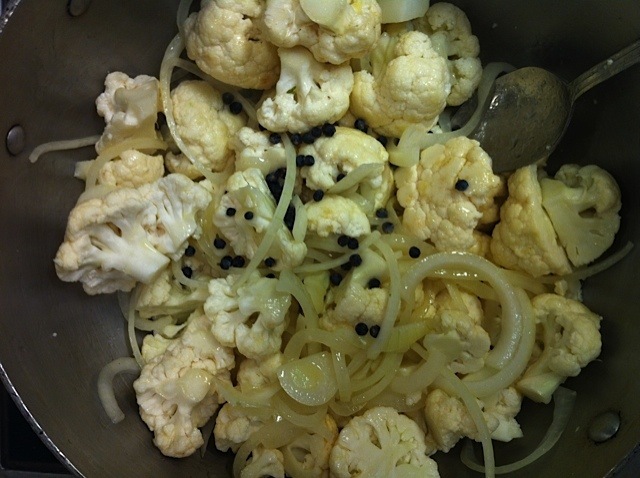 In a medium saucepan cook the onion with 2 tablespoons butter and the cauliflower for 10 minutes or until softened and just lightly golden brown at the edges, adding the whole juniper and red pepper flakes. 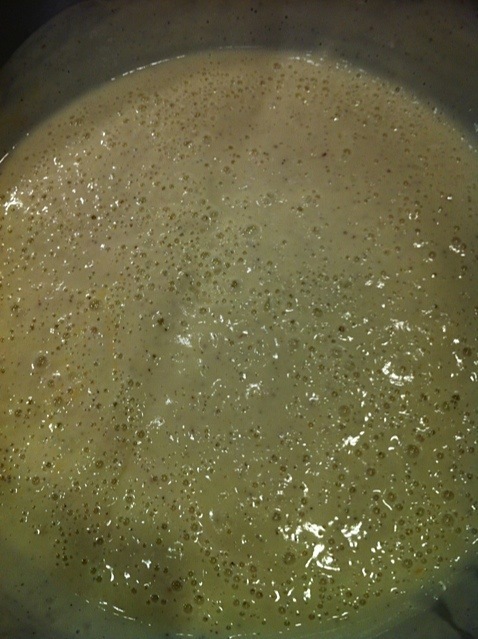 Add the chicken stock and cream and cook on medium heat for 30 minutes. Remove from heat and puree in a blender until velvety in texture. 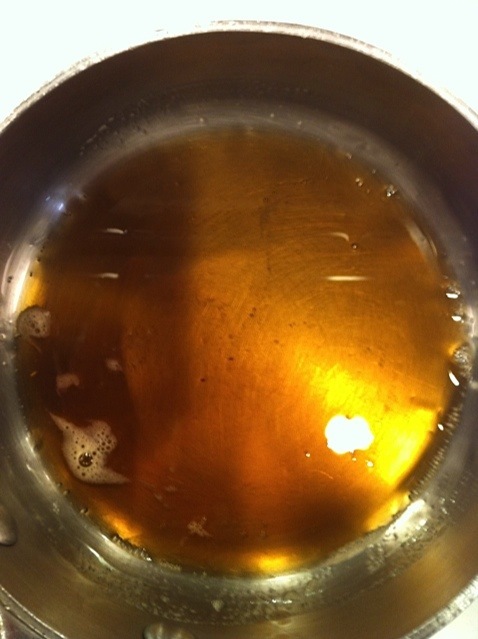 OPTIONAL TOPPING: Meanwhile melt 2 tablespoons butter in a small saucepan and brown until dark brown color, pass the butter through a piece of cheesecloth or coffee filter to remove any brown bits. 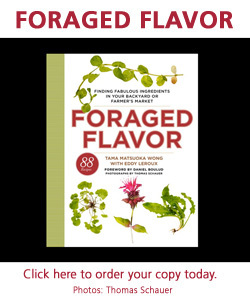 Mix with 1 tablespoon finely ground juniper. 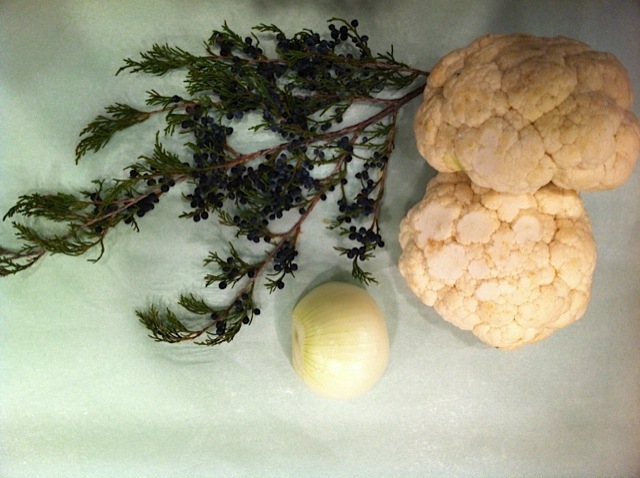 Each individual serving can add the cauliflower florets to their bowl and drizzle with drops of the juniper butter, to suit their taste.